Little cats, hats, bats (I am rhyming!) and frankensteins…and sadly, the following is post-bake. Won’t I ever learn to stay in the kitchen and watch my recipes closely in the oven while I am testing a new recipe? Nope, I guess not since I got distracted and way over-baked them…boo (no, not the Halloween “Boo!”), what a bummer! At this point, I was very low on cheese and had to make a small test batch but I am happy to report they turned out beautifully and incredibly delicious! 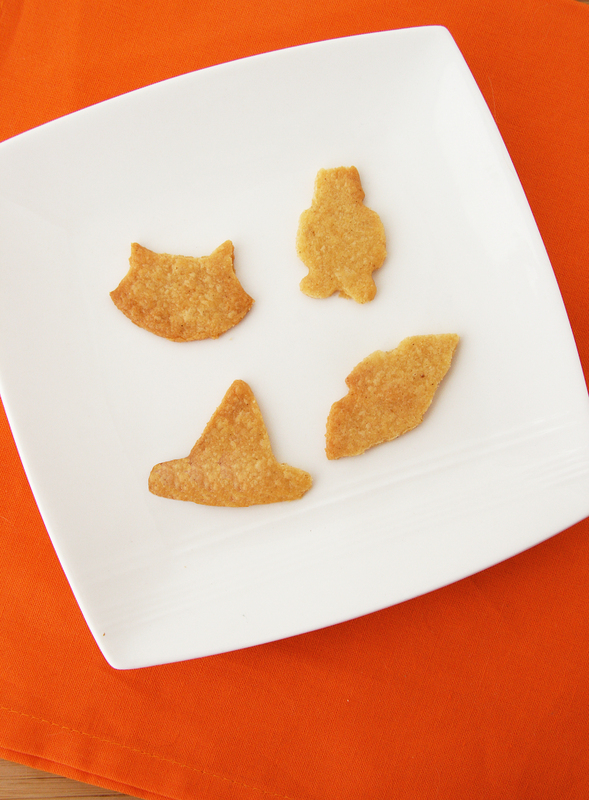 While the mini Halloween cookie-cutters were fun to use and cute, it made the recipe more time consuming. I had strange-shaped excess cracker pieces from the cut outs and I was too lazy to re-form into another ball and cut out more shapes….which left me with a very small yield. The test batch made more than four crackers but the “ugly” scrapes from the cutouts were also consumed and I wound up with scraps + about 12 crackers that I eagerly ate in one sitting. Next time (and there will be soon), I will be making a large batch! These are addicting and delicious alone but would also pair well with your favorite dip if you wish! 1. Preheat the oven to 350F. Line a baking sheet with parchment paper and set aside. 2. In a food processor, mix butter and cheese together until crumbly. 3. Add remaining ingredients and process until forms a thick mixture that starts to come together in a ball. 4. Place ball of dough on a piece of floured parchment paper and lightly knead until a smooth ball is made. Divide dough in half and place 1 of the 1/2s in a bowl and put in the fridge. Roll out 1/2 of dough with a rolling pin (I put an extra piece of parchment paper over it to ensure it didn’t stick). Roll thin (about 1/4″ or so). 5. With a pastry cutter, small cookie cutters (these have squiggly lines that give the fun shape to the cracker) pattern out the shapes of the squares, going horizontally and diagonally. 6. Take a stainless steel spatula and slowly and gently place each cracker on top of a parchment lined baking sheet, making sure you give about 1/2″ worth of room per cracker. This might be the longest part of the process but you do want to go slowly in order to maintain the shape. Place the crackers on the baking sheet, sprinkle with sea salt if desired and place in the freezer for 10 minutes while you repeat the same process for the next 1/2 of dough. 7. 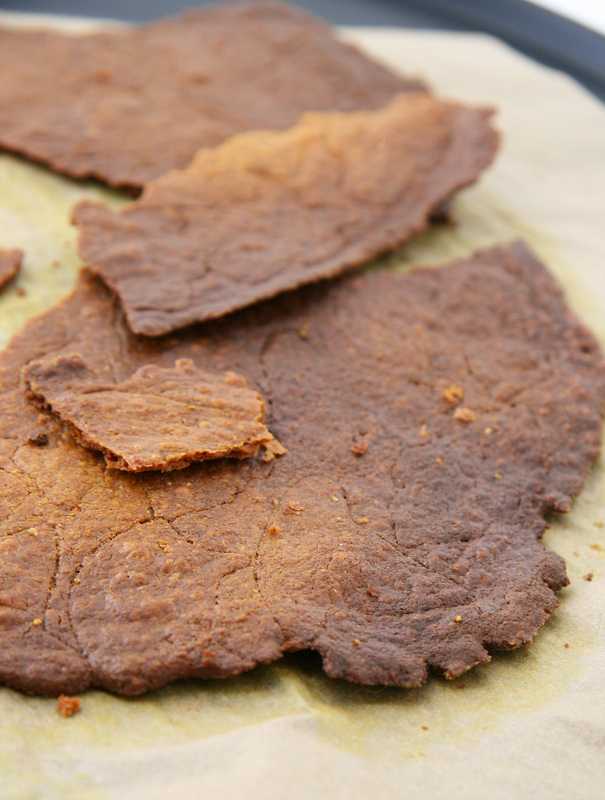 Bake crackers for 12-20 minutes, watching them closely to avoid burning**. ENJOY! *You can substitute all of the flours for 3/4 cup Bob Red Mill’s AP gluten free flour but reduce water to 1 Tbsp and add 1/2 tsp xanthan gum like Cara. 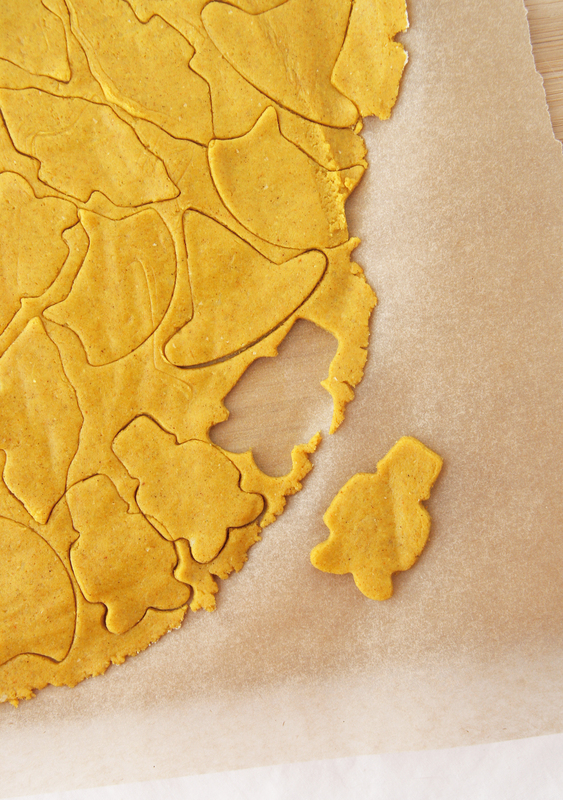 **Baking time will depend on how thick your crackers are but keep an eye on them while in the oven. Oven temperatures vary as well, my oven gets really hot so my crackers were done at 12 minutes. Side Note: Monday morning – it was much easier for me to get up this morning with a little more light in the window! Did anyone else (morning people, I am directing this at you) have an easier time waking up since daylight savings? Do you have a Hobby Lobby near you? I bought these cookie cutters in a pack of 6 for $3.99 two weeks before Halloween and didn’t get too much use out of them…maybe next year! I know, shame on me for trying to multi-task – I know better!!! 🙂 Thanks for the inspiration Cara – these were cheesy and yum! No Hobby Lobby here in California 😦 I miss those. 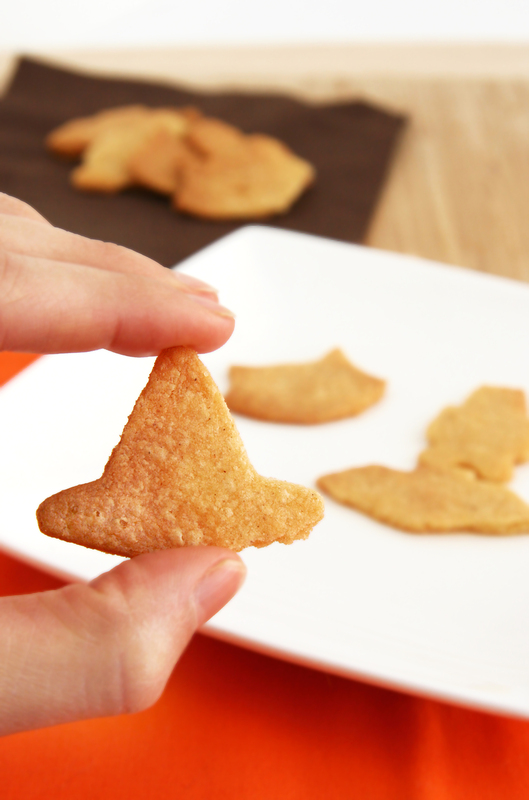 yum, I love cheez its, I’m definitly going to have to try making these! Thanks Annie! I totally agree – Cheez Its rock but they never agreed with my tummy because of the gluten. Don’t fun shapes make food that much more enjoyable to eat?! ?